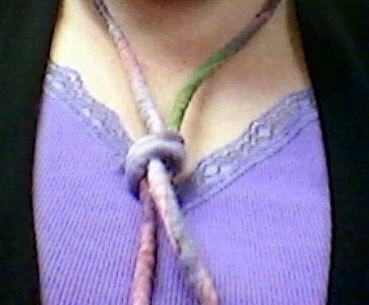 Felted Rope Lariat Class TOMORROW!! You may find some pictures of interest, some information of interest, or just want to get a glimpse further into my journey of getting to NOW. Feel free to comment on THIS site, though, because like I said, I can no longer log in to the old blog! 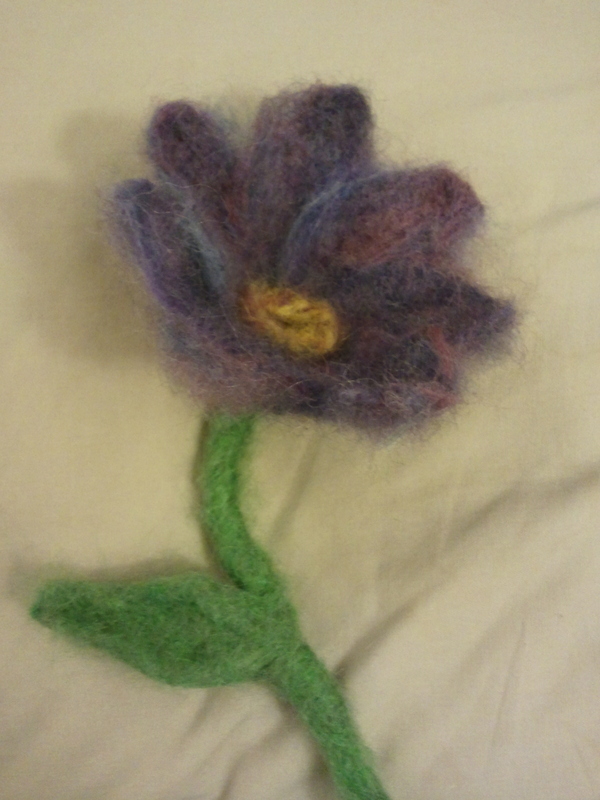 Needle Felted Flower class-Felting Fun! The first Felt THIS! class for the Northeast Kansas Potwin Fiber Artisans, or PFA, was great fun. We explored a number of different construction techniques: building the flower petal by petal, building the flower in layers, stem and leaf options, and blending fibers. The next class coming up is on Saturday from 9-11am at the Potwin Presbyterian Church, and there are still spots available. Leave a comment here or email me for more information. 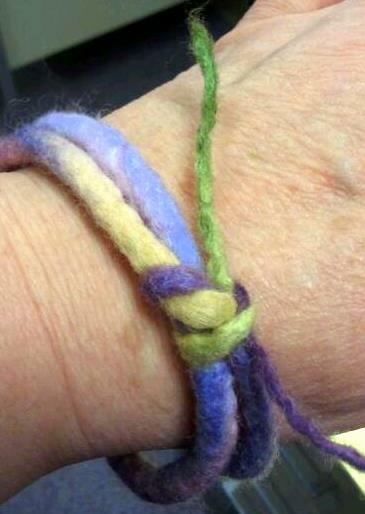 We will be making a wet felted lariat style bracelet. 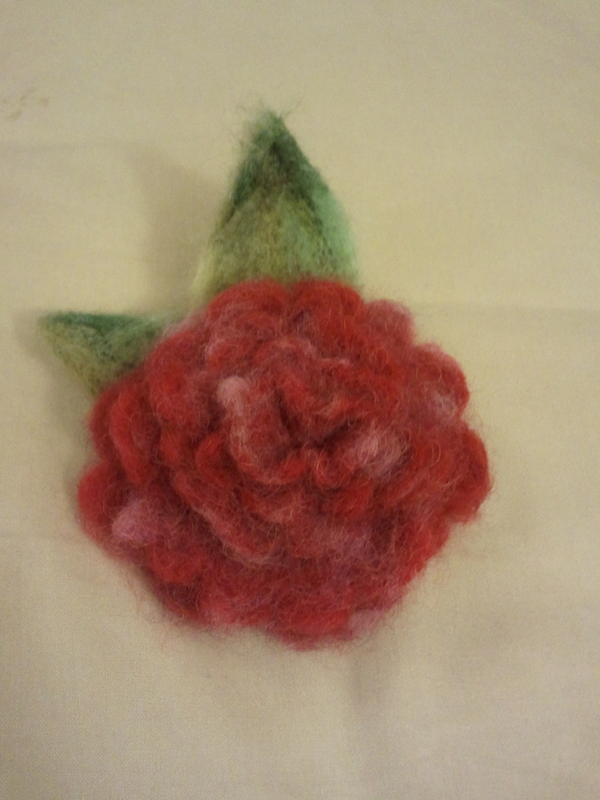 In February there will be a Needle Felt Pincushion class and a Wet Felt Coaster set class. We are a GO for classes-they have been scheduled for January (I know, but there are two classes we are going to squeeze in before the end of the month) and February: 2 needle felting classes, and two wet felting classes just to get you started with the basics. Explore the ancient practice of creating the fabric known as felt from wispy fibers in amazing colors. No experience is needed for this class as you learn how to blend and combine different colors and textures of the fibers to create a flower, realistic or fantastical. By the end of this 2 hour class, you should have your flower mostly completed and ready for you to take home and turn into a brooch, hair accessory, or to place in a bud vase for admiration. During this class you will take strips of the wool roving and connect strips together to form a lariat. You will also learn the techniques to create a self-clasp from the dried lariat, and have ideas for further embellishment to take home with you at the end of class. Continue to explore the ancient practice of creating the fabric known as felt from wispy fibers in amazing colors. No experience is needed for this class as you learn how to blend and combine different colors and textures of the fibers to create a mini cupcake pincushion. By the end of this 2 hour class, you should have your pincushion completed and ready to use. During this class you will lay out the wool roving in several layers and work them into solid felt. You will have instruction on various blending and layering possibilities based upon your roving selections to create your set of four coasters. You will leave the class with suggestions for further needle felting embellishment of your coasters for personalization. There are many, many other fiber suppliers out there, these are but a few of my favorites. Give me a holler if you have trouble locating something and I’ll be happy to assist. 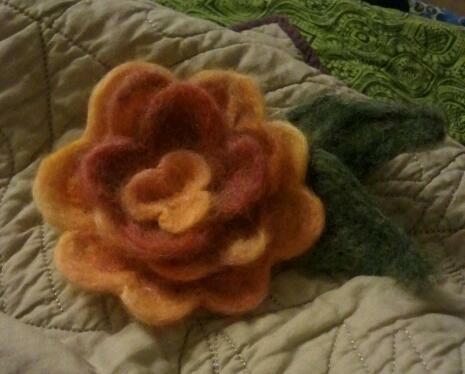 In the meantime, contact me NOW to reserve your spot in one of these felting classes! 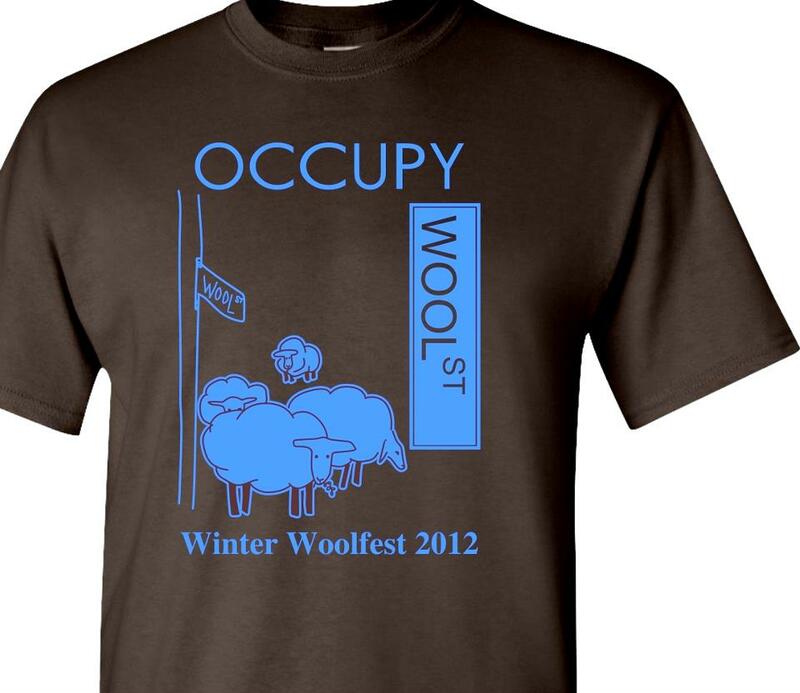 Winter Woolfest 2012-Amazing as always! 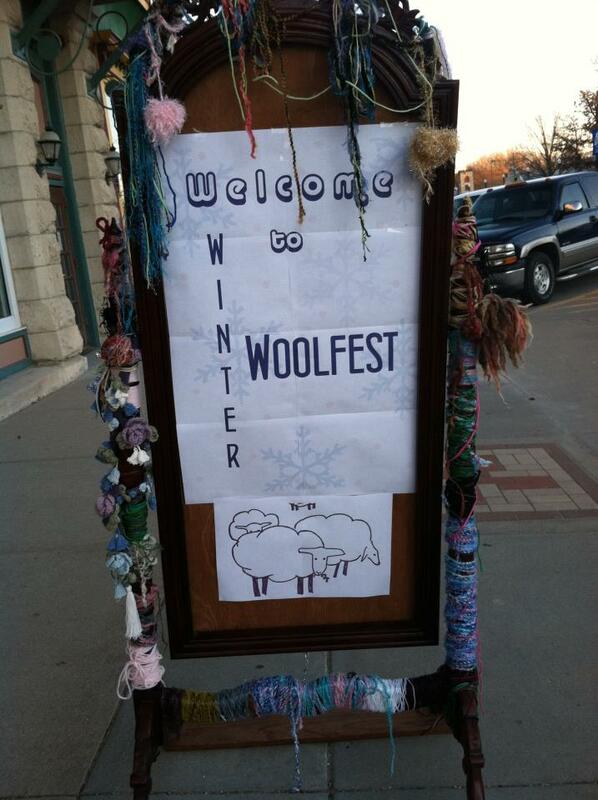 Once again, Jennifer from The Wicked Stitch in Wamego, KS pulled out all the stops to organize and host Winter Woolfest 2012! It is always a wonderful crowd of vendors and viewers as we all come together for a Saturday full of fibery goodness of all sorts! I am always on the lookout for past friends, and ready to make new friends as I talk about my love of felting and fibers. The atmosphere at Woolfest is congenial-you are among friends from the time you walk in the door of the Columbian Theater, which has graciously and beautifully hosted the event for the past couple of years. You may not know some of them, but they are friends nonetheless, brought together by the mutual love of everything fiber. 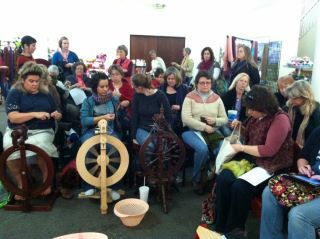 Free demonstrations and classes are offered all day long, armpit knitting…..the list is endless.